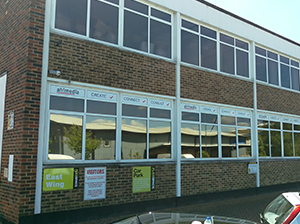 Are you looking for an office window tinting service in brighton? Do you need a professional company that can guide and advise you on the right solutions for your office environment? You have come to the right place. At ultimate tinting sussex we have a massive amount of experience tinting office windows in the brighton area. We have delivered successful projects for small high street offices and big commercial premises. We always deliver on time and within budget, and can work flexible hours so that we disrupt your daily activities as little as possible. We know that you need your office windows to look as good as they possibly can, and to portray the image required. We therefore deliver every project to the highest possible specifications and with the best possible products. Our attention to detail is truly legendary in the market and that is why we get so much business through word-of-mouth recommendations. We have so much experience that we can be your guide. Different window film has different properties. If you require a film that can block out a lot of heat in the summer and reduce your air-conditioning bills then we can recommend a dense film that reduces heat by up to 86%. If you’re looking to let as much light as possible through and heat reduction is less of an issue then we can recommend a different product. By understanding your priorities we can get you the right solution. Create a more visually impressive environment on the inside and out. We serve offices throughout East Sussex, West Sussex, Surrey and Kent regions including Brighton, Hove, Lewes, Seaford and Eastbourne and many others. Whether you are on the high street or on a business park we have probably worked on offices near you. If you have project on ground right now, or are looking at the possibility of a project, get in touch today and we provide you with an outline quote over the phone. We can then visit your premises for an inspection and provide you with a comprehensive quotation on all costs. Our quotes come with no obligation. We are competitively priced and believe that we offer the best value in the market today. We source products at incredible prices and pass on those savings to you, and offer installation at a price that is hard to beat.